The Bracket Big Board takes into consideration past returns, current performance and expected future gains in determining who should be included among the field of 68 (31 automatic and 37 at-large bids). Essentially, the Bracket Big Board is a cheat sheet designed for amateur bracketologists if they were filling out a Tourney Pick 'Em '12 entry today (SIGN UP NOW!). 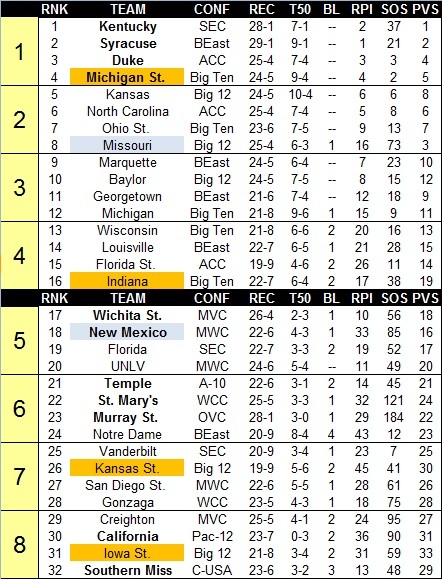 The Triple-B, the second-most accurate bracket predictor among macro-sites over the past four years, is updated every Monday until the dance card is unveiled March 11. Tucked away in the Southwestern U.S. is a city best known for its dizzying elevation, influential Native American culture, quirky demeanor and spicy green-chili cuisine. It's also home to one of the sports world's sleeping giants, a team most east of the Mississippi have blindly miscast as unimpressive and fluky. When preseason publications hit store shelves in October most evaluators predicted great success for Steve Alford's crew. The top scorer from the previous year, Dariese Gary, had graduated, but a wealth of talent remained. UCLA transfer Drew Gordon, a near statistical clone of program icon Danny Granger and front-runner for MWC Player of the Year, was a First Team All-Conference pick. Kendall Williams, the reigning MWC Freshman of the Year, was expected to take another step forward in his development. And another highly regarded Pac-12 castaway, Demetrius Walker, was destined to make a strong impression in his first season with the Lobos. Tabbed to take the MWC title at the conference's media day, New Mexico was again poised to Dance after a one-year hiatus. Its postseason quest, however, didn't exactly get off on the right foot. Early season missteps against intrastate rival New Mexico St. and an embarrassing road loss at WCC whipping boy Santa Clara immediately tarnished the Lobos' reputation in the national eye. Though they ripped off 13 straight wins, including a resume-building victory over St. Louis, most pundits denounced their efforts. Triumphs over high-major softies Washington St., USC and Oklahoma St., a noteworthy accomplishment most seasons, understandably didn't resonate with pollsters. The Lobos' precarious start in conference play didn't either. After tipping off league action with a resounding win in Wyoming, New Mexico hit the skids against its stiffest competition. In mid-January it dropped a nail-biter at home to San Diego St. then followed up with a blowout loss at UNLV. 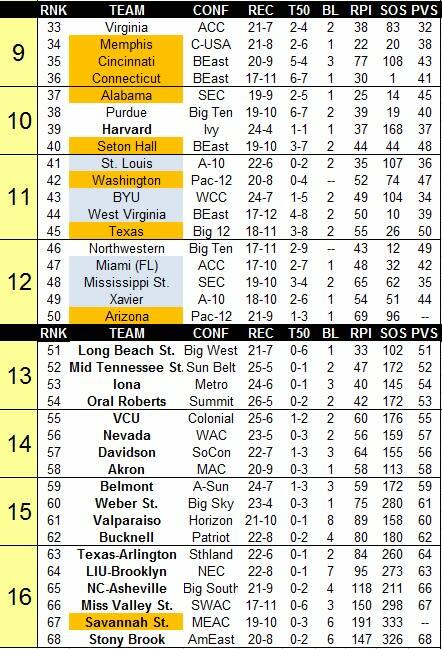 Though standing at a respectable 15-4, it appeared the critics were right. NCAA hopes were a bit murky in the 'Querque to say the least. "There is no team in the last month that has guarded the way we have guarded," Alford said. "To hold a team like this, averaging 80 coming in here, (with a) very high octane offense, very hard to guard, and you hold them to four field goals in the one half, you just have to take you hats off to our group of young men. They really defended." The Boy Wonder wasn't blowing smoke. In their first meetings versus SDSU/UNLV, the Lobos surrendered a deplorable 1.25 points per possession. In the encore, they yielded just 0.84. In fact, over the past month, a stretch of eight games, only TCU has scored better than a point per possession in any game, including Colorado St. who knocked them off Tuesday in Fort Collins. No surprise, according to KenPom.com, they currently rank ninth nationally in adjusted defensive efficiency. Despite letdowns against the Rams and Horned Frogs last week, New Mexico is poised to make some serious bracket racket. On paper, this year's version is far better than 2010's, a squad that won 30 games and reached the second round of the NCAA tournament. Here are five reasons why the current Kings of the West could reign supreme come March. Staunch defense. As discussed above, the Lobos are relentless shot-challengers. They rank in the top-25 in two-point, three-point and effective field-goal percentage defense. Teams that shackle opponents typically experience tournament success. Over the past five years, 61.4-percent of tournament teams that ranked inside the top-10 in defensive efficiency advanced to at least the Sweet 16. New Mexico could add to that number. Sharing the sugar. Turnovers are an issue, but when the Lobos squeeze the orange they move the ball around fluidly. The unselfish bunch ranks 10th nationally in assists-to-field goals made. 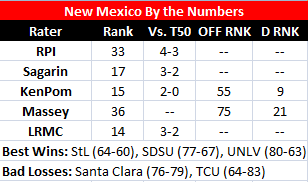 Trim down the mistakes and New Mexico is a well-oiled machine offensively. Paint patrolling. Gordon is an uncontainable beast around the basket. In terms of positioning, he's one of the best around, checking in at No. 7 in defensive rebound percentage nationally. Additionally, Williams, Hugh Greenwood, A.J. Hardeman and bench body Cameron Bairstow have also chipped in on the glass, each averaging between 3-4 rebounds per game. Keep Gordon out of foul trouble, and New Mex will win many battles on the boards. Dialing up from distance. The Lobos aren't nearly as three-dependent as the Michigans of the college hoops world, but they are far from bricklayers. Tony Snell, Jamal Fenton and Phillip McDonald have splashed a combined 42.8-percent from the arc. Snell, the club's third-leading scorer, has struggled of late netting a measly 20 points in his past five games. If he can regain his mean streak, especially on the perimeter, the MWC rep will be extremely dangerous. Depth. Obviously, it's imperative Gordon avoids whistles. No player on Alford's roster can match the senior's tenacity in the post. Still, this is a club that usually goes 10 deep. Walker, though a bit ball-hogging at times, is an excellent sixth man. Fenton, who was a difference-maker at San Diego St., McDonald, Bairstow and Chad Adams have also contributed quality minutes off the pine. Shuffling bodies in and out should help keep the Lobos fresh during the grueling early rounds of the tournament. 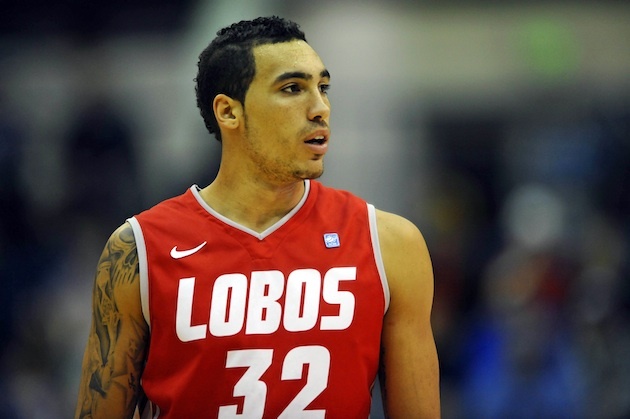 Bottom line: New Mexico possesses the characteristics of a top-flight tournament team. Its weak non-conference strength of schedule (288) will hinder its seeding, but even as a 5-6 it's capable of inflicting significant damage. Don't sleep on the Lobos. Dropped Out: NC State, Norfolk St.